Let’s take a survey. Ask five people to name their favorite food, and three out of five will likely say pizza. 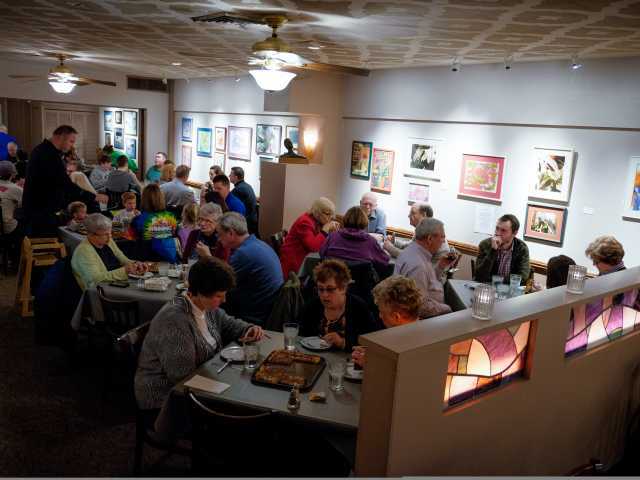 No wonder – it’s a classic dish that many crave, and Omaha serves it up baked, wood-fire grilled, deep dish, Neapolitan – and the list goes on. 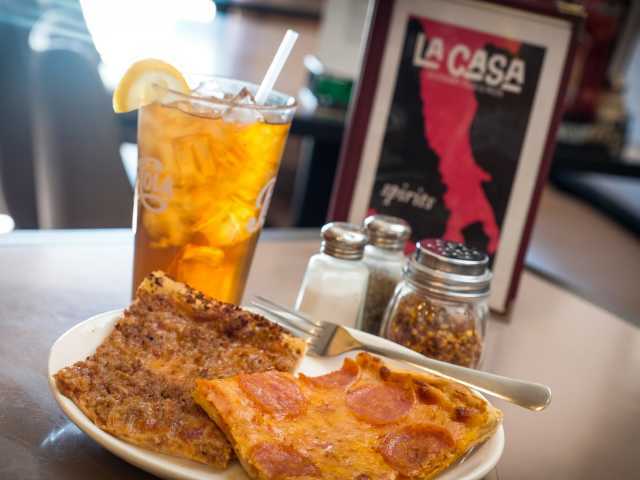 Omaha invites visitors to try a whole new way of enjoying a slice (or two, or three) at La Casa Pizzaria. 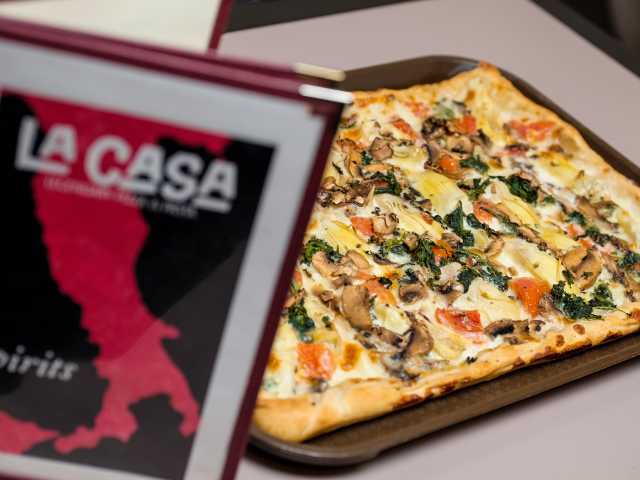 True to its name, La Casa feels like home to true pizza connoisseurs. The house special is a thin, crispy crust topped with a flavorful house-made sauce, crumbled Romano cheese, and ground beef. Yes, ground beef is a unique pizza topping, but this is beef country and we stick to what we know. The Quattro Formaggio is a favorite among regulars thanks to its rich, flavorful combination of Romano, mozzarella, asiago, and white cheddar cheeses. An array of other specialty pizzas completes its Vera Pizza Napoletana menu. Za may be the star, but the supporting cast of entrees deserves a special shout out. 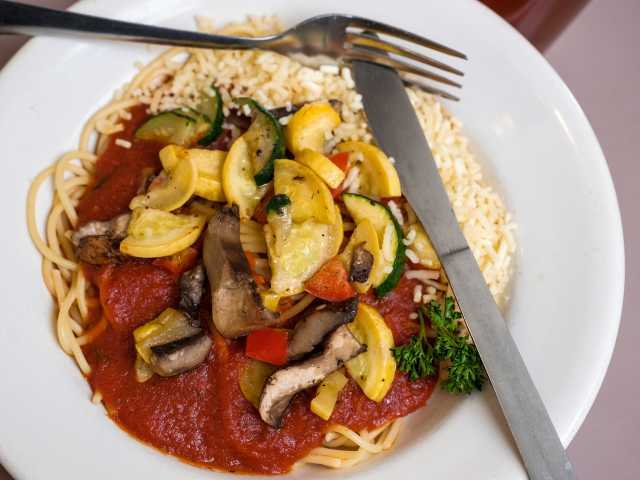 Choose from five different versions of lasagna and a variety of pasta dishes. Eggplant Parmesan and Chicken Parmesan are masterfully made with house-made breading, thick marinara sauce, and melted mozzarella cheese. 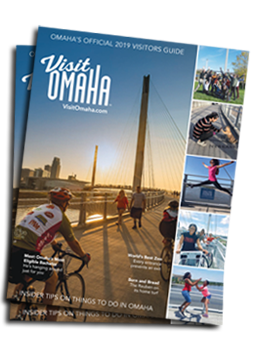 Watch the Now Serving Omaha webisode featuring La Casa to get another taste. 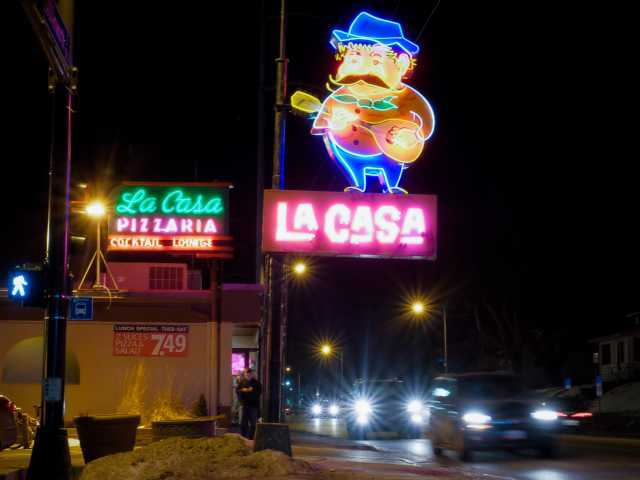 Click below for restaurant details, Yelp reviews, and to get social with La Casa.